65 people detained – that was the result of the Russian police action on 6th May 2015 as they moved in against people and individual pickets gathering, in Bolotnoye Square, on the anniversary of the mass demonstration of 2012. The civic activists were dispatched in police buses, despite observers’ repeated protests to the guardians of order that the detentions were unlawful. By Thursday 7th May three remained in police detention – the opposition activists Irina Kalmykova, Sergei Sharov-Delone, and Aleksandr Ryklin. According to Moscow human rights activists, they could be charged with ‘organizing unauthorized events’. The remaining detainees had been released, a few of them had been required by the police to put in an appearance on the morning of 7th May to provide ‘written explanations’ of their actions. These were the circumstances in which critics of the Kremlin, in the centre of Moscow, marked the third anniversary of the events which the Russian authorities called ‘large-scale riots, and which the opposition, human rights activists and the international community had described as an exercise in the right to protest, and which were met by police violence. A reminder – on 6th May 2012, the day before the inauguration of Vladimir Putin as President of Russia, the Russian opposition organized a mass march, ‘the March of Millions’ and a rally ‘For Honest Elections’ in protest against the falsification of the presidential elections and infringement of basic rights and freedoms. In the vicinity of Bolotnoye Square the police began to take strong measures to break up the rally, measures which, in places, escalated into clashes between groups of protesters and the security forces. As a result of the operation to remove and disperse the protesters, 450 individuals – who included both protesters and accidental bystanders – were detained by the police. Many of the activists from the opposition, including Boris Nemtsov, Aleksei Navalny, and Sergei Udaltsov were also detained. Following the events of 6th May 2012, the Russian authorities opened a criminal case related to the organization and participation in ‘large-scale riots’ (the ‘Bolotnoye Case’), and detained more than 30 individuals. Many received custodial sentences, some were amnestied before the Olympic games in Sochi in 2014. A few civic activists, who had been put on the ‘wanted’ list in connection with the Bolotnoye Case, fled from Russia as political refugees. Many western countries, including the United States, criticized the actions of the Russian authorities. Both politicians and human rights activists in the USA criticized the violent suppression of a peaceful street protest. 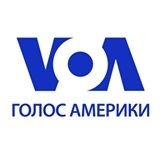 In particular, the American human rights organization ‘Freedom House’ condemned the detention and beating of those participating in the opposition activities in Moscow on 6th May, and declared that the Russian authorities should be held to account for their actions. ‘We declare our unconditional support for the citizens of Russia, exercising their right to the freedom of assembly’ announced the then president of ‘Freedom House’, David Kramer.